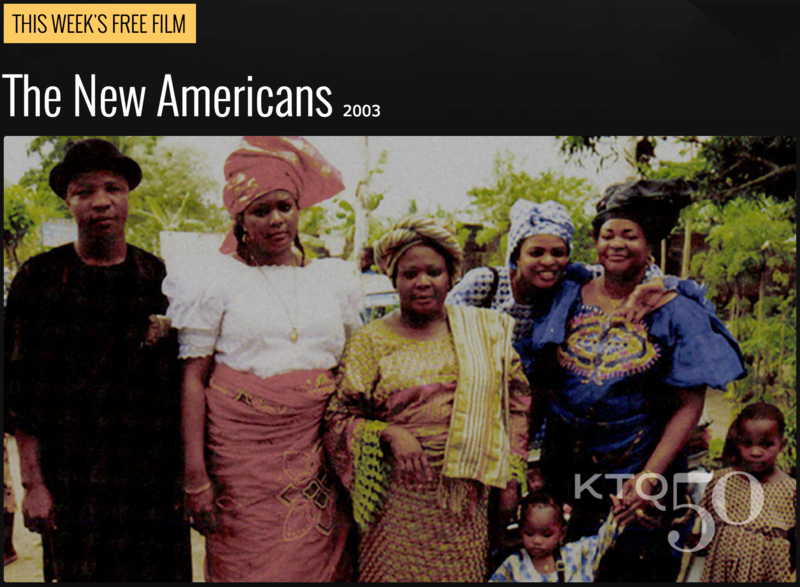 From today until next Friday, July 8th, the free KTQ50 series is The New Americans (2003). You saw that date right: We are streaming TWO free weeks of one of Kartemquin's proudest achievements, the 7-part series, The New Americans. Since we know you will be busy celebrating #KTQ50 with us this evening, and the 4th of July holiday is upon us in which we would like to honor the immigration experience, we thought you might need some extra viewing time. "The New Americans is a cinematic masterpiece...It is a sensitive, compelling, irresistible collection of stories." The series was acknowledged with a slew of awards and at special screenings including the Gold Hugo, Best Television Production (2004) at the 40th Chicago International Television Competition; International Documentary Association awarded it the Best Limited Series Award (2004); it was a featured PBS Independent Lens Series (2004); and Official Selection of the Stranger Than Fiction Documentary Film Festival in Ireland (2004). COMPANION GUIDE: The National Issues Forum book available in the extras is the companion guide to viewing and exploring the issues discussed in The New Americans. The New Americans is available on DVD here.